From the north facing sailing centres of Cowes, Yarmouth and Seaview to sheltered southerly resorts such as Ventnor, Shanklin and Sandown this island is definitely worth a visit. The best places to stay in the Isle of Wight are dotted all over the island from quaint village inns to grand coastal properties. The Isle of Wight is a sheer delight. It is carpeted with a diverse countryside, part dramatic, part gentle, and has a quirky charm all its own. Ideal for both activity holidays of relaxing hideaways, there's something for everyone. Spend sunny summer days lounging on the picturesque beaches. Take blustery coastal walks before dipping into a pub to nurse a pint by a roaring fire. Try your hand at surfing, windsurfing, waterskiing to name but a few of the watersports on offer. Charter a yacht and sail around the isle. Attend one of the many music and cultural festivals that take place during the summer months. During the weekends and summer months the best places to stay on the Isle of Wight get booked up fast so be sure to plan your stay well in advance. 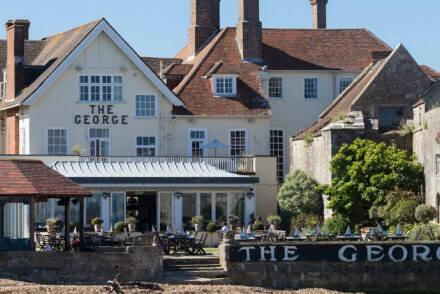 The George Hotel in Yarmouth is a family friendly Georgian property with a huge sun terrace overlooking the Solent and has superb period features inside including a17th century panelled hall and bedrooms with crooked wooden floors. Beach huts and ice cream stalls, crab shacks and oddball cafes, pretty villages, harbours full of bobbing boats, thatched cottages, cosy pubs, rivers, cliffs and gentle cycleways along disused railway lines -simple, timeless pleasures. All of these can be experienced from the comfort of The Seaview Hotel. A firm favourite with both locals and visitors. The Seaview has a relaxed vibe and is perfect for anyone a bit sailing mad. For wonderful views, a spot of time travel and a truly quirky place to stay, try the Northbank Hotel in Seaview. Run by the same family since 1959, you won't find en suite bathrooms, but you will find an unforgettable atmosphere and fabulous breakfasts straight from the Aga. The Little Gloster is a stylish B&B close to Cowes that is becoming increasingly popular with the the boating set. It serves up delicious yet unpretentious food in the eponymous restaurant and offers three cool bedrooms - book the balcony suite for a private terrace overlooking the Solent. 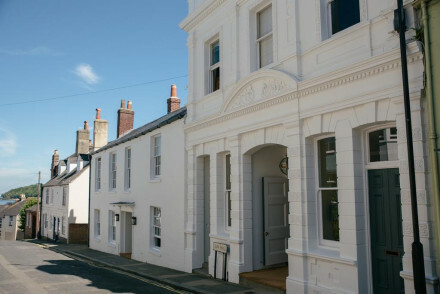 Set in a 19th-century Grade II listed property, the quaint North House is situated on the coast of Cowes. Featuring many original features such as period fireplaces, the hotel also offers chic boutique accommodation with elegant furnishings. 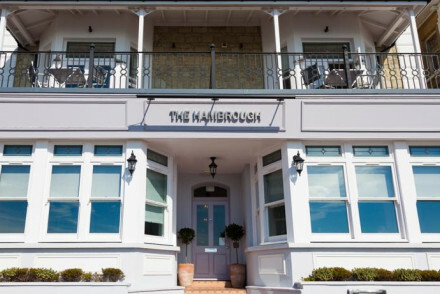 The Hambrough is a must for foodies - it is the island's only Michelin starred establishment and also boasts stylish accommodation, pampering bathrooms and wonderful views over Ventnor's esplanade. Hillside is a thatched Georgian villa chock-a-block with designer Danish furniture and abstract art. It oozes cool Scandinavian sophistication with a very warm welcome. Two ferry routes serve the Isle of Wight; one runs from Portsmouth to Fishbourne and the other Lymington to Yarmouth. Portsmouth has an international airport and both Lymington and Portsmouth have good train connections across the UK. The UK has woefully unpredictable weather however the Isle of Wight does have its own microclimate. The island is a year round destination however to best enjoy the beaches plan your trip in the summer months (June - August). 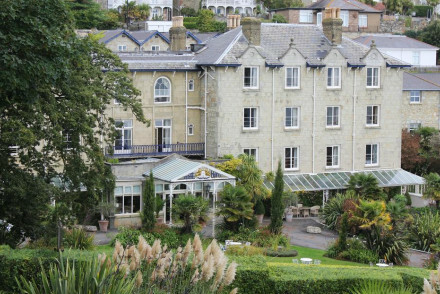 Browse through our list of the best places to stay on the Isle of Wight. Alternatively expand your search to include all our recommendations in neighbouring Hampshire. An eccentric family run hotel in a fabulous setting - the 1930s with a ‘60s twist. Forget en suite bathrooms, but for families wanting a very relaxed seaside atmosphere at reasonable rates, with lots of friends to make, it's an experience. The antithesis of boutique. Families - A memorable experince for all the family, with eccentric hosts, communal bathrooms and plenty of beachlife. Great walks - With over thirty miles of Heritage coastline, there are many stunning walks to be had. Sailing - A prime sailing spot and a favourite past time for both locals and tourists. Sights nearby - Carisbrooke Castle - once a prison for Charles I. 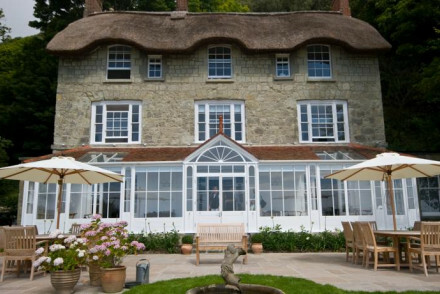 Stylish guesthouse in a charming thatched Georgian villa, overlooking Ventnor and the sea. Rooms are all white, with designer furniture and abstract art abound. Groups and families can also stay in the stables apartment adjacent to the house. A tranquil place to stay, with wooded gardens. Views - Overlooking Ventnor with panoramic seaviews. Just a short way from the centre of Seaview on the Isle of Wight and directly by Apply Beach, The Boathouse is a charming seaside hotel. The bedrooms are comfortable and airy, decorated with a pale palette. The pub is popular and the restaurant serves excellent seafood. A delightful place. Local exploring - A great base from which to explore the Isle of Wight. Birdwatching - The Isle of Wight coastline is a haven for birdwatchers. Fishing - Go on sea fishing trips from Seaview. Sights nearby - Visit the nearby Spitbank Fort. Entirely charming, quaint Saxon B&B offers a stay of total seclusion completely off the 'beaten-track'. 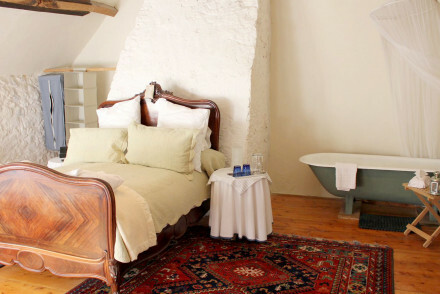 Rooms boast a delicate, rustic French-style decor, featuring plush beds. 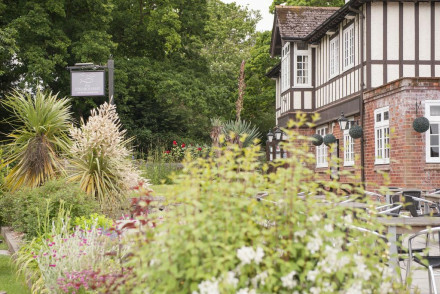 Surrounding gardens and countryside make this a gentle and beautiful stay. Plus 3 self-catering barns. Romantic Break - Perfect for an intimate, romantic break in the total peace and quiet of the secluded countryside. Beautiful walks and gardens. Full of character - Beautiful yet simple decor. Saxon house featuring large rooms, low doorways, Persian rugs and white-washed walls. Country Escape - Enclosed by natural surroundings and near to the coast and beautiful St Catherine's chalk down. Hideaway - Totally off the beaten-track, this charming B&B offers total seclusion. 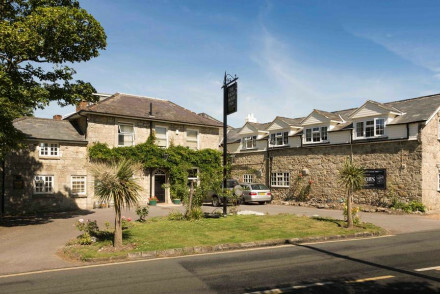 A charming inn set in the heart of the town and just steps from the sea. Rooms are smart with boldly patterned wallpaper, crisp white linen and simply designed furniture. Downstairs the pub and restaurant are atmospheric and as popular with locals as they are with tourists. Local exploring - Well positioned near the coast in West Cowes to access all things sailing and the high street. Sailing - Cowes is best known for its sailing and the property lies bang inbetween the Sailing Club and Yacht Squadron. Great walks - Head out of the town and take long walks along the coast. 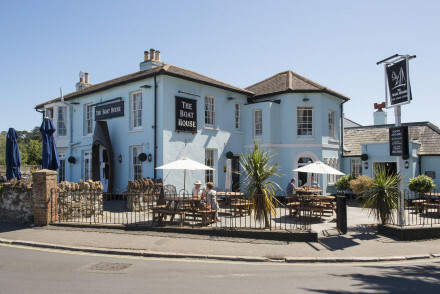 Set in a 19th-century Grade II listed property, the quaint North House is situated on the coast of Cowes. Featuring many original features such as period fireplaces, the hotel also offers chic boutique accommodation with elegant furnishings. Sublime seafood served up. A lovely and intimate spot. A delightful rural inn set in a sleepy coastal village in the southern part of the island. Traditionally dressed rooms are both elegant and cosy with soft hues, sink into beds and plenty of light. Excellent pub food is served and there is endless beautiful countryside to be explored. Sights nearby - In Chale itself there is the 14th century St Andrews Church and the 100 year old Chale Green Stores. Great walks - Find miles of walking trails to be explored. An atmospheric pub topped with a handful of light and airy rooms located in a peaceful spot right next to the Wightlink ferry port. 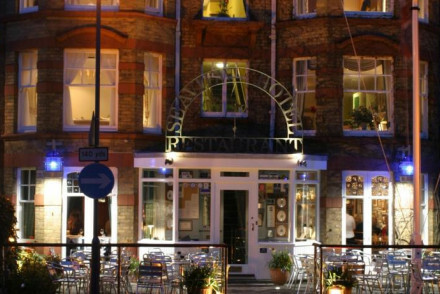 The restaurant serves innovative British fare with an emphasis on local produce and seafood. A tranquil spot from which to explore the island. Country Escape - A seaside property ideal for exploring the island's coast and countryside from. Great walks - Take long scenic walks along the coastal path. 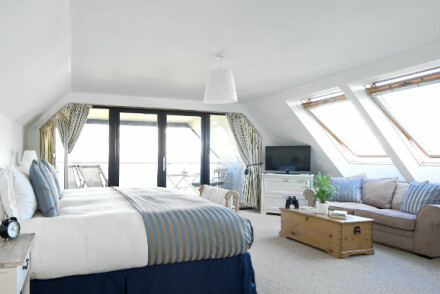 Top quality food with Solent seaviews to match - a delightful and stylish b+b close to Cowes and popular with sailors. Just three bright, seaside chic, minimalist bedrooms, one with a private terrace. A lawn overlooks the sea. Delightful. Views - Lovely Solent views. 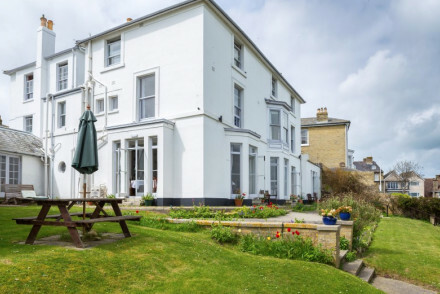 Handsome, relaxed Georgian hotel in charming Yarmouth with great Solent views. Popular food, lovely bedrooms, some with antique panelling and private decks. Family friendly, a great base for sailing or exploring the Island. Exclusive offer - "Winter Warmers"
Romantic Break - The perfect getaway for two, simple yet undeinably elegant rooms, deep soaking tubs, views of the bay and top notch dining. Local exploring - Situated between the pier and Yarmouth Castle, there is plenty to keep you entertained. Sights nearby - Less than a mile away is Fort Victoria now housing an aquarium, planetarium and underwater archaeology centre. Great walks - Work up and appetite for dinner along the miles of coastal paths and trails. 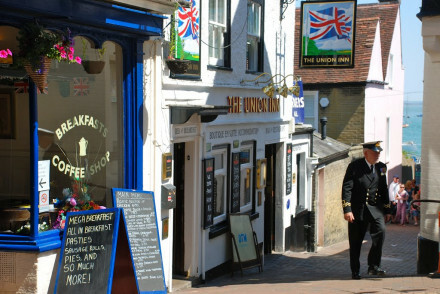 Friendly, stylish hub in the centre of charming Seaview, popular with locals. Boasting a busy terrace, two restaurants and a mix contemporary or chintzy bedrooms in various sizes, some with views. Great base for sailing or local exploring, 50 yards from the sea. Families - A family friendly hotel on an island that provides plently of outdoor activities for children, plus babysitting services. Beach Life - Situated right on the coast. Ideal for all manner of sea bourne activities or simply coastal walking. Sights nearby - Puckpool Mortar Battery is nearby and makes for an interesting historical visit. Great walks - Bring one of the hotels packed lunches and walk the coastal path to Ryde beach. An enchanting clifftop villa with spectacular seaviews, in charming Ventnor. Lovely light and modern bedrooms with pampering bathrooms. Nearly all bedrooms have views, some with balconies.The fine dining restaurant uses local produce and experimental cooking. A chic stay. Foodies - Chef Robert Thompson has transformed the restaurant into a veritable Mecca for foodies- emphasis is on local, fresh ingrediants. Romantic Break - Stylish rooms, with private balconies overlooking the picturesque bay, incredible food and romantic walks along the coast. Sights nearby - Visit the nearby is historical and beautiful village of Bonchurch, once the home of Charles Dickens. Great walks - Make the most of the miles of sandy beaches and coastal paths. An elegant hill top property boasting glorious sea views. Bright rooms mix contemporary and traditional styles with steel grey and white hues, heavily draped sash windows and luxurious bathrooms. A smart restaurant offers well executed British classics and there's a buzzy bar too. Total relaxation - An elegant coastal property, ideal for quiet weekend breaks. Great walks - Take long walks along the coast and through the picturesque countryside surrounding Ventnor. Sights nearby - Visit the grand baroque-style stately home, Appuldurcombe House.